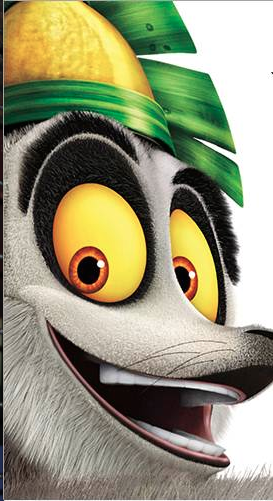 ChiIL Mama's a member of Netflix' Stream Team, so we're able to offer 2 of our lucky readers exclusive access to a screening of All Hail King Julien in Chicago, and we’d love for you to join us! 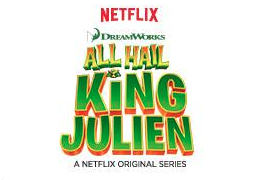 In addition to a first look at two all-new episodes of the Netflix original, you and your family will be able to create crowns fit for a king, learn King Julien’s signature dance and pose Hollywood style with the King himself. This is a quick one. The first two readers to comment below (on this actual blog post) with the words "Me Please" and the adult name for the guest list WIN 4 tickets. It's that easy! Congrats Zora V and Nicole L. Your names will be on the guest list at the door. Bring an ID. Party & screening is Sunday Dec 7th at 2pm. Enjoy! Check back with ChiIL Mama often. It's rewarding! We're launching ChiIL Mama's Holidaze 12 Days of Giveaways TODAY! !